Nota: il testo della seguente ricerca è disponibile solo in lingua Inglese. How can European regions stimulate entrepreneurship? 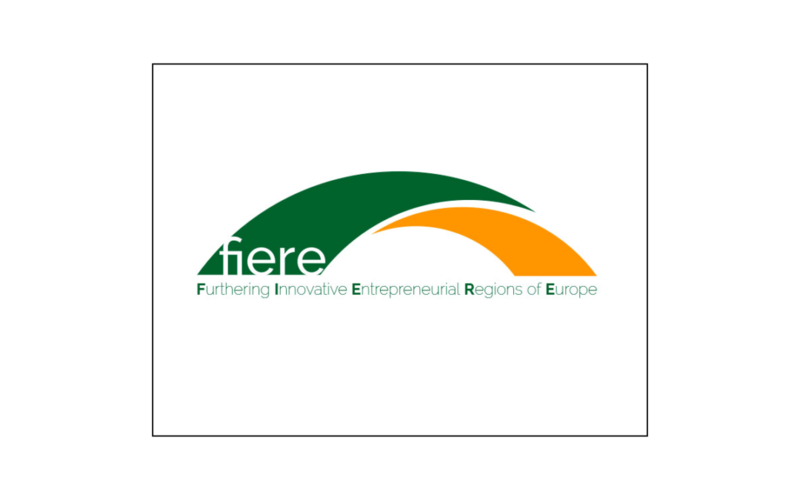 The FIERE (Furthering Innovative Regions of Europe) study was set up to develop and enhance entrepreneurial and innovative skills in regional and local organisations – public and voluntary. The Communication for the Innovation Union, a Europe 2020 Flagship Initiative (COM(2010) 546 final), notes that the biggest challenge for the EU and its Member States is to adopt a much more strategic approach to innovation. It points to a need for Europe to progress smart regional specialisation strategies. The communication also spoke of the requirement for framework conditions to promote innovation and entrepreneurship. The document made an explicit reference to the successful development and dynamism of innovative entrepreneurial activities. The FIERE study (2013-2015) actively supports the concept that within regional economies public organisations, societies, clubs and not-for-profit organisations could be more entrepreneurial and innovative in the way they organise their entities and deliver services to their clients. According to the study innovative and entrepreneurial regions can have a greater capacity to achieve their economic and social potential — even in the context of scarce resources. Regional and local government organisations operate in tandem, and are inter-connected, with a multiplicity of sub-regional community and voluntary organisations who share the same vision and ambition of enhancing their region’s economic and social prospects. These sub-regional organisations potentially can play a pivotal role in assisting the regional and local government agencies to realise their developmental aspirations. Empowering local community and voluntary organisations with innovative entrepreneurship skills can facilitate bottom-up regional development that can be in harmony with top-down regional development policies. Enhancing the innovative entrepreneurship skill sets within a region’s formal and informal institutional infrastructure could have a hugely beneficial multiplier effect within the region. To provide an input into the development of a training and/or education programme for those managing, supporting, employed in, and/or volunteering in local, community and regional entities. Johannisson (1991) proposed a conceptual classification for entrepreneurship education which should focus on why entrepreneurs act (values, motivation), what entrepreneurs need to do (knowledge), how entrepreneurs will do it (abilities, skills), who do they need to know (social skills, networks) and when is it appropriate to act (experience and intuition). Entrepreneurship education depends on the stage of the entrepreneurial process as the learner will have different needs during the various stages of development and progression from entrepreneurial intent onwards (Henry et al. 2005). Understanding this difference or the type or objective of the audience when it comes to entrepreneurship education should very much dictate the approach and content of the education programme. Gorman, Hanlon, and King (1997) highlighted the importance of sufficient matching between student, curriculum and the pedagogical approach in order to ensure that the learning is effective and applicable. Entrepreneurship curriculums often take two main approaches which are centred on learning About entrepreneurship and learning for entrepreneurship. Learning about entrepreneurship is mostly taught in a conventional manner via lectures, coursework and exams while learning for entrepreneurship aims to provide skills and knowledge to perform or prepare students to behave as entrepreneurs (Foster and Lin, 2003). Education about Enterprise: awareness, education, basic aspects of starting and running a business all based on theory. Education for Enterprise: Supporting new or potential entrepreneurs with practical skills. There is a growing body of literature and opinion on entrepreneurship education. What is clear is that the approach depends on the perspective, values and goals of the individual and the environment both professionally and culturally. In terms of FIERE and the combination of European partners and the expected nature of the learners it would be important to evaluate the level of prior knowledge and understanding and how this may have an impact on the acquisition of knowledge during the education programme. Due to the international European nature of the program it may be necessary to incorporate an evaluation of the impact of culture on learning and the perception, belief and opinion of students/participants of entrepreneurship and enterprise education (Foster and Lin, 2003). Understanding the basis of each learner’s background, experience and goals will help indicate what the curriculum should contain and the learning deliverables and outcomes. Consistently for both females and males most of the listed skills are considered as very important to be trained in, with the exception of critical thinking, analytical thinking and leadership. Overall, being a leader or being a manager is not considered important for the organisation or an essential skill to be trained in. In the private sector, persistence and leadership were not considered as important skills, whereas the most important skill to be included in the training was innovativeness/ creativity. In turn, in the community and enterprise sector all skills were marked as very important, except being analytical and being a leader. For role performance most respondents stated the skills required are being passionate about work (64%) and resilience (60%). However, females stated they need to be more open minded and creative, while males stated that they need to be decisive in their roles. Being a leader or being a manager was not seen as necessary skills for role performance. However 50% of males from the private sector indicated they needed to be a leader in their roles. According to all respondents innovativeness/creativity and resourcefulness were considered to be the most important skills for their respective organisation. In the voluntary and private sectors the most required skills by the organisation were resourcefulness, resilience and being passionate about work. The aim of the FIERE skills needs analysis survey was to gain a level of understanding about the entrepreneurial skills, behaviours and ability of employees from public, private, community & enterprise and voluntary sectors. Furthermore, understanding individual employee skills requirements, their organisations’ skills requirements and the skills required for their current roles would enable the FIERE partners to develop a training programme to increase the capacity and capability of individual employees to behave, think and act more entrepreneurially. It is also important to take into consideration in the designing and implementation of a skills training programme particular regional, gender and sectoral nuances that may impact the effectiveness of the programme delivery. The next stage for the FIERE partners will be to utilise the data and information derived from this survey and incorporate them into the design of the skills training programme which will be delivered in each partner country during 2015. Composite report on users’ innovative entrepreneurship skills 2015: What do actors in regional and local organisations in European regions think about entrepreneurship skills? What’s their level of innovative entrepreneurship skills training?